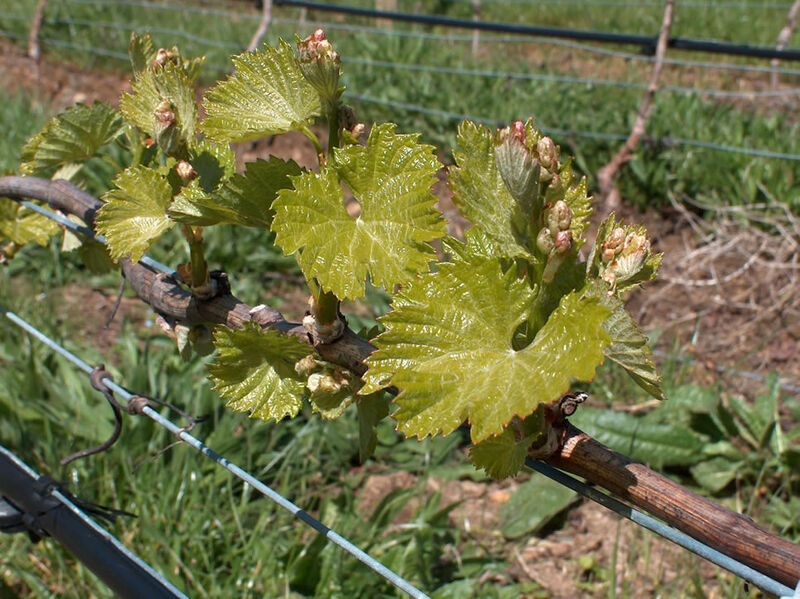 Close up of new shoot growth in Brian Croser's Tiers vineyard in the Piccadilly Valley of Australia's Adelaide Hills. Brian's new Tapanappa Whalebone Vineyard red (first vintage 2003). Photo taken at the end of September 2005.